Deena Cortese will be the next former Jersey Shore cast member to become a bride. Cortese, 29, revealed Saturday on Instagram she is engaged to her longtime boyfriend Christopher Buckner. "I always knew I would spend the rest of my life with Christopher Buckner... but last night while we were walking on the Beach in Mexico he made it official!! We're engaged!!!!!" Cortese captioned a montage of photos, including one of her kissing her fiance with the ring on full display and another of a champagne toast. The following day, the reality TV star shared additional images of her diamond ring from a variety of angles. "I felt like the other pictures didn't show how beautiful the ring was. 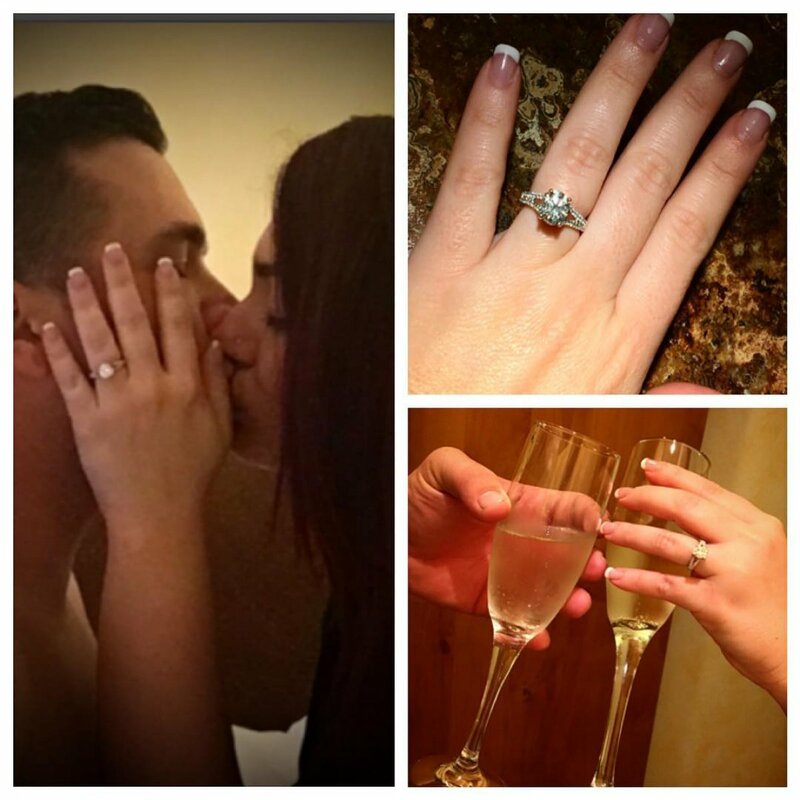 The pic on the left was me a little after he proposed after I was finished happy sobbing lol," Cortese wrote. "Christopher did such an amazing job picking me out the perfect ring." The self-declared "meatball" added, "It fits my little hand perfectly...This still all doesn't feel real!!! I love you @cbuckner_ this weekend has been so amazing so far." Buckner proposed during a surprise romantic getaway he planned for the couple to celebrate their fifth anniversary. He informed Cortese of the trip on Thursday of last week, and she wrote on social media, "I can't believe he pulled this off." On Sunday, Cortese shared a photo of herself lying poolside in an apparent tropical location. In the caption, she paid tribute to her late father. "I can't believe this is all real.. what a weekend. This year has been really hard for me and my mom..I honestly haven't felt 100% happy since my dad passed away ..until this weekend," Cortese wrote, adding engagement ring, palm tree, and heart emojis. "I'm glad we are able to end the year with a happy moment.. I know my dad had a front row seat when chris proposed and I know he's looking down with a smile from ear to ear. I love you chris and love that you brought me to this beautiful place for our anniversary/engagement weekend." Cortese joined MTV's Jersey Shore reality series for its third season and quickly became good friends with Nicole "Snooki" Polizzi and Jenni "JWoww" Farley, who are both married with children. Cortese also appeared on VH1's Couple's Therapy with Buckner back in 2014.